International Day of Zero Tolerance for Female Genital Mutilation is a United Nations-sponsored annual awareness day that takes place on February 6 as part of the UN’s efforts to eradicate female genital mutilation introduced in 2003. Female Genital Mutilation/Cutting (FGM/C) refers to all procedures involving partial or total removal of the external female genitalia or other injury to the female genital organs for non-medical reasons. Somalia community is the leading among the communities in the world that practices FGM/C as a cultural norm come religious. Religious wise, FGM/C is prohibited the same way the Somalia Constitution in chapter 15(4) criminalizes the vice. However, the practice of FGM remains prevalent in Somalia. 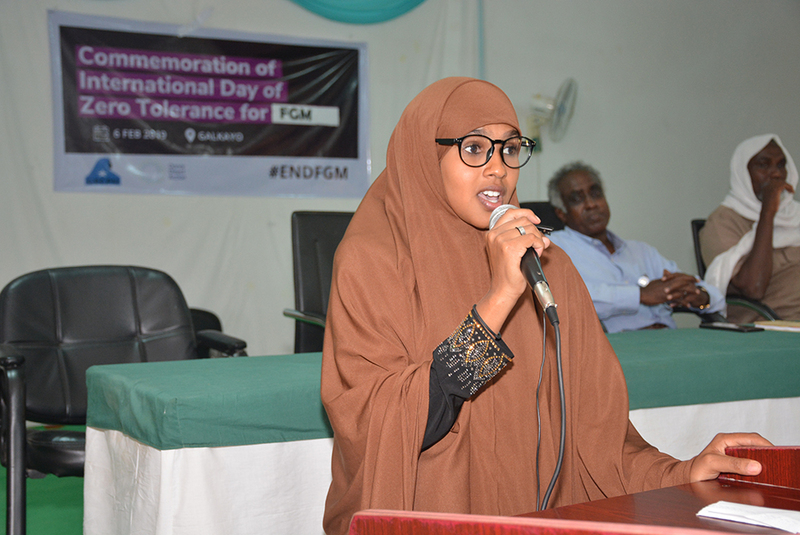 Ms Mariam, a mother of one, speaking during the commemoration of the International Day of Zero Tolerance for FGM celebrations in Galkayo. She is among the young mothers who have resolved never to circumcise their daughters. 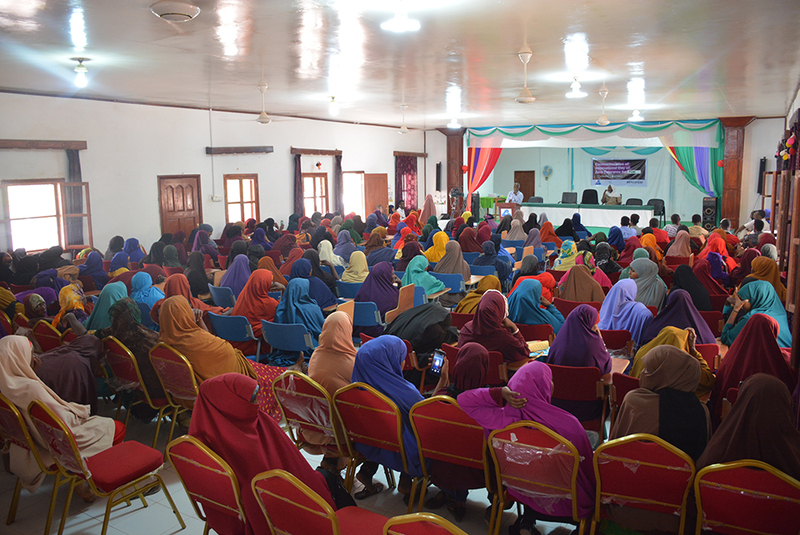 GECPD with the funding of Donor Direct Action and in collaboration with the Ministry of Women, Development and Family Affairs (MoWDAFA) Puntland, commemorated the International Day of Zero Tolerance for FGM 2019 in Galkayo, Halabookhad IDPs Settlement, Bursalah, Galdogob and Harfo with 800 persons participating including government officials, Youth, Religious leaders and Medical Practioners all engaged in community dialogue sessions on health effects of FGM and to find a way to END FGM/C as a way of preserving the dignity of women and girls in Somalia and to save lives lost in the process of practicing FGM/C.